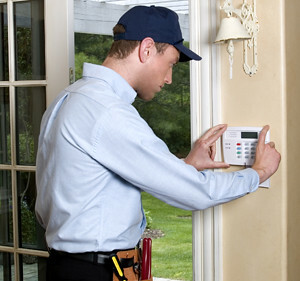 Home security is a serious concern of any home owner anywhere in the world. There are simple steps you can take to improve your home security. You need to create a plan with your family. Everyone must be involved. Here is a guide on how to start your home security plan. First determine how much of your property needs to be monitored. What are the areas of concern? What type of security system are you going to install? Will it be security locks or CCTV cameras or a combination of both? Do you have everybody’s cooperation? The garage is a favorite target of criminals as they can use a multitude of tools found there to break into your house. The door that connects your house to your garage is usually a hollow door and can easily be kicked. No one will notice the stranger in your garage. Also, most people leave their garages open when they are at home so this can very easily be the main entry point to your house. Don’t leave the garage door open as people can view the contents of your garage and make a plan to enter your home. If you have windows in your garage, use reinforced glass. This is harder to break into. Install deadbolt locks and reinforce your door leading to your house. If you can, use a garage door opener with a rolling code technology which changes your code every time you operate the remote. It will be hard for intruders to steal your code with a scanner. Mark or engrave your valuables such as sports equipments, bicycles, golf clubs, etc. This will make it harder for the thieves to sell your items. The police can also contact you in case they recover your stuff. Don’t forget to padlock the inside latch of your garage door if you are leaving for a vacation or a business trip. Experts advise to use doors made of fibreglass, wood or steel combined with a good security lock or deadbolt locks. If you are installing deadbolt locks, make sure that it reaches into the door’s frame. This way, an intruder won’t be able to kick it open so easily. If you are using a sliding glass door, be sure it is securely mounted and can’t be lifted off the ground. To do this, reinforce the inside track with a wooden dowel to prevent thieves from picking the lock. Both one and two storey homes should keep their windows and doors locked at all times. Intruders can easily get a ladder to climb up your rooms. You can also install alarms and sensors on your doors and windows. Place CCTV cameras on your front and back doors as these are the most common points of entry of an intruder. You can also place home security signs all over your property such as “Video Surveillance Ongoing” or “Beware of Dog”. Criminals usually don’t bother with a home protected by CCTV camera systems as they don’t want a record of their identities with the police. It will be easier to catch them. They also don’t like to bother a barking dog that can wake up the whole neighbourhood. You should also keep your trees and shrubs well manicured. It will be easy for an intruder to hide in them if you let them grow out. If you are leaving for few days, be sure to hire someone to mow your lawn to keep the grass short. If you can, put thorny bushes near the windows. Keep all ladders and other tools safely in the garage. Don’t leave anything around that an intruder might use. Your fences should be padlocked as well. You can also use solar lights to illuminate your property. The key to having a successful home security plan is to have everybody’s cooperation. They need to be responsible with locking the doors and windows and not leaving valuables around. You should talk about your security plan with your family and ask for suggestions. Make it difficult for criminals to break into your home. If they see that it’s going to be hard and will take a long time, they will just move on. Hi, my name is Brandon. I’m a blogger. I have a site that contains more info about CCTV systems.